A focus-stacked portrait of an Eciton hamatum army ant soldier. 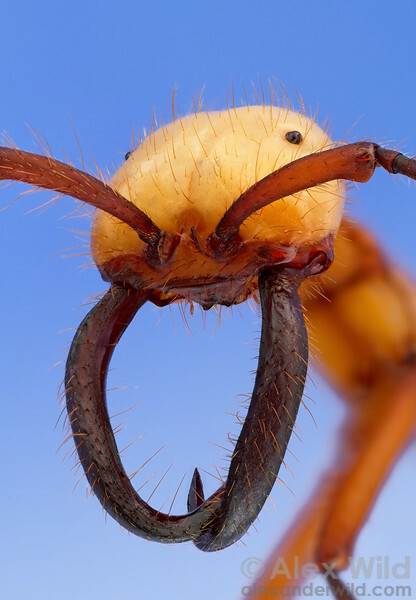 This New World tropical species is a specialist predator of other social insect species. Belize.